Admittedly, the hardware announcements at this year's E3 were far from groundbreaking. Perhaps one of the more interesting new bits of kit was Nintendo's WiiSpeak microphone, which will first be used with the much-awaited Animal Crossing: City Folk for the Wii. The immediate question TechRadar wanted answering when we saw the kit was echoed across the (empty) halls of E3 – how is the mic going to cut out extraneous noise from the TV? Animal Crossing: City Folk producer Katsuya Eguchi told Wired. "There's some noise filtering going on. 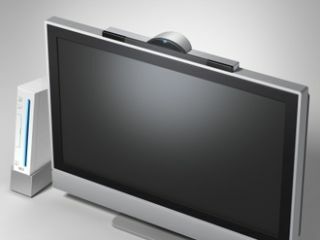 It's designed to pick up stuff other than what's coming out of the TV. If you put this on your TV, if this was a regular microphone, you'd get your TV sound going in. But this is a USB plug-in. So the sound coming out of your TV is going into the Wii Speak, and when it goes back into the Wii, it throws that sound away." "We really don't consider ourselves 'anti-voice-chat.' Once of the things we've said for years now is that we've wanted to provide a safe environment that people didn't feel nervous about going into. "With games like Mario Kart and Smash Bros., because you can play against anybody, rivals or whoever's out there, and they're games where tempers can be frayed and people might use language that's not appropriate for everyone to hear, we didn't feel that those titles were appropriate to have a voice-chat feature." "However, with Animal Crossing, you're going to be chatting with your friends. There's no Animal Crossing "rivals" or any sort of open gameplay like that... as long as people have registered each other as their friends and they're comfortable with that, then we're fine giving them the ability to chat with each other."